Welcome to Toyota Batangas City Website! This is everything and anything you need to know about Toyota Batangas City’s products and services. Accessible and compatible in every device ensuring customers always enjoy service beyond expectations..
As Toyota owners, you deserve only the best! In Toyota Batangas City we are committed to provide our customers the best after sales experience long after vehicle purchase. Only Toyota knows your Toyota, we guarantee you a high quality service at all times with highly skilled technicians backed with the latest and technologically advanced equipment, ensuring your vehicles to run as new for years to come. Become a member of the growing group of value conscious people who drives Toyota. At Toyota Batangas City we just don’t sell cars, we make sure that you get the vehicle that suits your driving preference. From Passenger Cars to Commercial Vehicles, we got everything that you want. For detailed specification of the vehicle, please click the car of your choice. 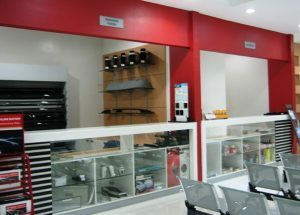 Toyota Batangas City, Inc. is a 9,898 square meter property located at Diversion Road, Barangay Balagtas, Batangas City. The total floor area of 4,436 square meters includes the Administration Building and two Service Shops. It was established last October 1997 under the dealership of Toyota Motor Philippines Corporation, which was incorporated on March 17, 1997. The basic foundation of dealership is organization. In line with the company’s program to have a strong team, we have to brace ourselves, ensure strong cooperation and teamwork among our team members. In so doing, challenges will be overcome and competition shall always be faced with optimism. The success of our dealership is in the hands of all team members. When Toyota Batangas City sells cars to customers, it is not just selling cars – it is the benefits and satisfaction that our customers could get. We believe it is our great responsibility to our customers to have their vehicle drove with confidence and satisfaction. It is also our pride that most of our clients were satisfied to the highest level of Toyota quality performance. We are gaining our client’s trust and confidence by providing them Toyota Quality Product that really suits to their needs and comfort. Toyota Genuine Parts is developed by Toyota uniquely for your Toyota. To maintain your vehicle’s performance reliability, never compromise your safety or void your warranty. Show genuine love for your Toyota by taking care of it with Genuine Toyota Parts. Every single Toyota Genuine Accessory is designed and manufactured that complies with Toyota’s Quality and standard because nobody knows your Toyota like we do. It is manufactured to the exact specifications of each Toyota model.